This 2 bed + 2 full bath sidewalk lot home is equipped with washer, dryer, dishwasher, range, microwave, and refrigerator. Home features skylights, wood flooring, master bedroom with private master bath adjacent, all window treatments, a 9 x 12 deck, fenced yard, a drive thru hobby garage. Home is in Berrien County and the River Valley school district and is within 10 minutes of Three Oaks Elementary School, Chikaming Elementary School, River Valley Middle School, and River Valley High School. Give Berrien Property a call about this home at 269-695-9595, or feel free to check out more homes for sale in Three Oaks, Michigan. 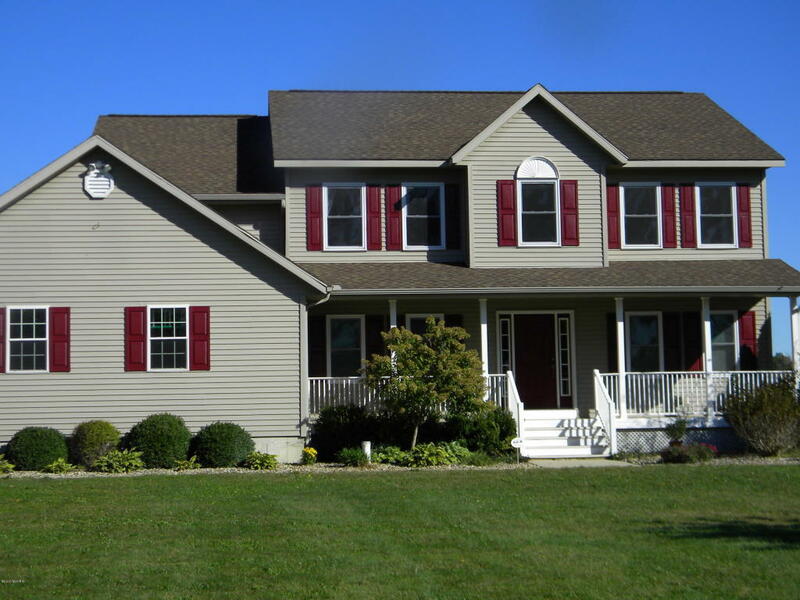 This 4 bed + 2 and a half bath, 2 story home sits on a 1.38 acre lot and has plenty of room for everyone. Home features formal dining room, a study/den, french doors, main floor laundry with utility sink, a craft room, a family/play room, zoned heating/air, all new windows in 2014, and lots of storage space. Master bedroom features his and hers walk in closets. Large 2 car attached garage. Home is equipped with washer, dryer, dishwasher, range, microwave, refrigerator. Kitchen features an eating area and is open to living space. Home is in Cass County and the Edwardsburg school district and is within roughly 5 to 10 minutes of Edwardsburg Primary School, Edwardsburg Intermediate School, Eagle Lake Elementary School, Edwardsburg Middle School, and Edwardsburg High School. 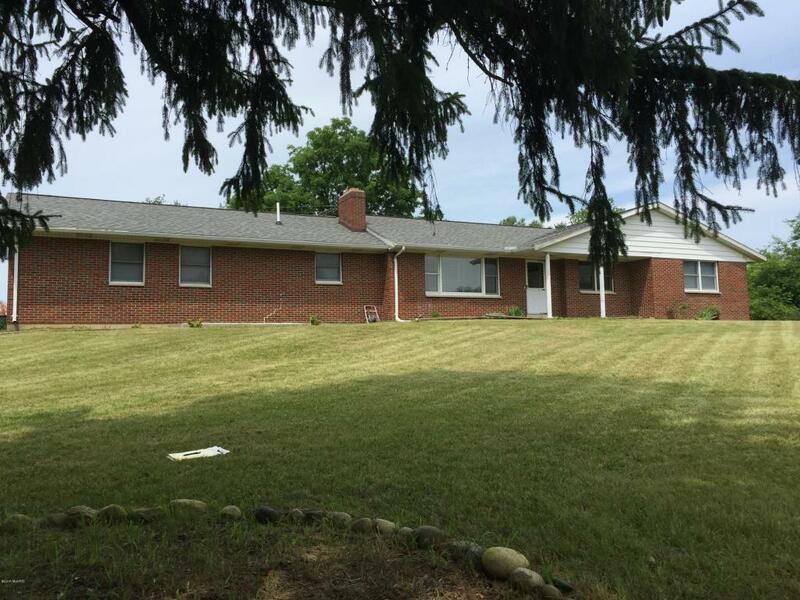 You can call Berrien Property about this home at 269-695-9595, or click the links to browse through more homes for sale in Edwardsburg, Michigan, or more homes for sale in Cass County MI. 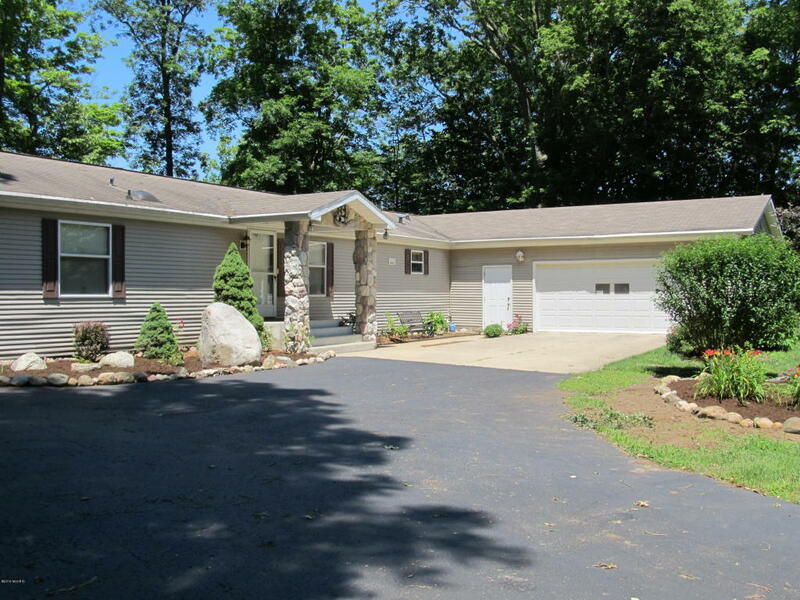 This 3 bed + 2 full bath ranch home sits on a 48 acre lot and is equipped with washer, dryer, dishwasher (newer, Kenmore), range, and refrigerator. Home features formal dining room, a wood burning fireplace in the living room, newer Whirlpool water heater, fresh paint, 200 amp service, 2 car attached garage, and more. Kitchen features an eating area. Home is in Van Buren County and the Paw Paw school district, and is within 5 to 10 minutes of Paw Paw Early Elementary School, Paw Paw Later Elementary School, Paw Paw Middle School, and Paw Paw High School. 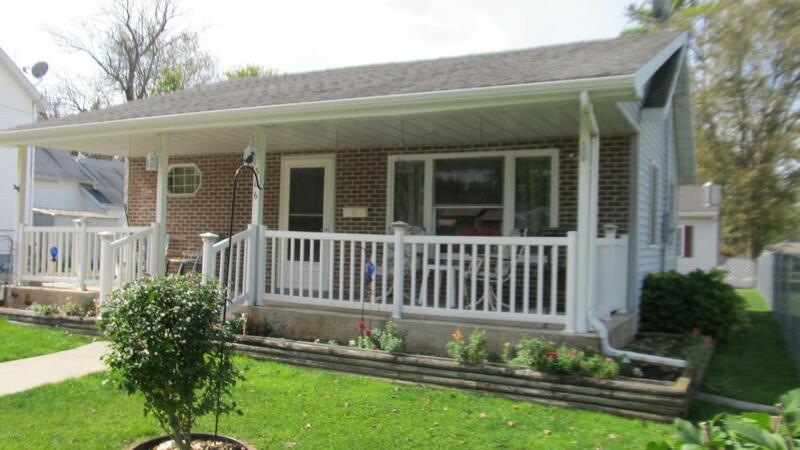 Call Berrien Property about this home at 269-695-9595, or try searching for more homes for sale in Paw Paw, Michigan, or more homes for sale in Van Buren County MI. A 3.46 acre lot with 120 feet of frontage on the all sports Lake Chapin! That's what awaits you at this like-new 3 bed, 3 full bath ranch home. Surrounded by woods and water, this is a perfect place for nature lovers. Home features vaulted ceilings, master bedroom with large walk in closet and master bath, a walk out lower level, an extra efficiency LG Inverter V Heating & A/C. Outside, enjoy the view from your 10 x 20 balcony, and note the 26 x 48 pole barn in addition to your 2 car attached garage. Just an hour and 45 minutes from Chicago and only 30 minutes to Notre Dame, this Berrien County home is a great vacation spot! Call Berrien Property about it today at 269-695-9595! If this lake house isn't quite what you're looking for, feel free to search for more Lake Chapin homes for sale, or more Waterfront Homes in Southwest Michigan. 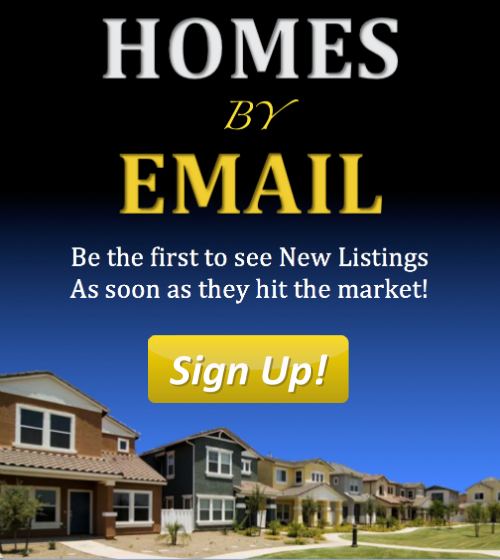 We also have some searches already conveniently saved for Lakefront Berrien County Homes, Lakefront Cass County Homes, and Lakefront Van Buren County Homes. You can modify the parameters of any saved search to help find what you're looking for. And you can always head back to our Home Page or our Advanced Search Page to get started on finding the perfect piece of Southwestern Michigan real estate to suit your needs.